To turn the energies of this year to our benefit, to success and happiness, it’s important to watch a few rules and take some precautions. I would like to remind you that the glass with salt, water and coins, which in 2012 was put in the South-East of your home or office, must carefully be disposed, preferably far away from home, as it has absorbed a lot of negative energy throughout the year. This Year we don’t need this measure. Place a plant in water or Lucky Bamboo with a piece of red paper (a red place mat underneath or red ribbon for example) in the West and the South-east against law problems, betray and romanticism. If your home has more than one floor, do all these corrections on each floor. Don’t sit with your face to the South-east (same as last year) and not to the West! Check the direction of your desk in your office, and make the necessary changes. Use a compass, if necessary. I would like to remind you that the glass with salt, water and coins, which was 2011 in the East, must carefully be disposed, preferably far away from home, as it has absorbed a lot of negative energy throughout the year. One third of coarse salt, 6 copper or nickel coins (pennies …), and 1 silver coin (dime …), and be filled up with water. Don’t cover it with a lid. You may hide it in a cupboard or behind a plant or furniture. Put the filled glass in the South-east direction in the South-east room of your home or apartment, where it will stay until February 2013. If your South-east direction is a corner, put the glass in this corner. If the South-east in your home is a whole side of your house or building, put the glass in the middle of this wall. You don’t have to add any more water during the year. The water will evaporate and the glass will look kind of funny. That’s ok. Don’t touch it. The best way to avoid these dangerous energies is to keep the South-east room or the South-east part of your home as quiet or even unused as possible. If your entrance door is facing the South-east, try to use another door, if possible. Put a vase with always fresh water (add flowers or Lucky Bamboo) in the South of your home and don’t use the color red Movement in the South also awakes negative energies, so try to keep that room as quiet as possible. If your entrance door is facing the South, try to use another door, if possible. Place a plant or Lucky Bamboo and a piece of red paper (a red place mat under the plant for example) in the North-West and the East against law problems, betray and romanticism. Don’t make any renovations in these rooms and keep them quiet! Don’t sit with your face to the South-east! Don’t sit with your back to the South! Don’t start any renovations this year, which also applies to any East and South-east part in each room. You also may hang a metal wind chime at the entrance in this case. You should not travel straight to the South-east direction. This is especially important for those who have a problem in their profile and the ones born in the years of Snake, Pig and Tiger. There are great energies in the South, North, North-west and North-east this year, which you can absorb by using these parts of your home more often! All of you being born in these years should be very careful and precautious this year and not take unnecessary risks. It will be a year for you of challenges, activities and changes. Travel a lot, but be careful. The direction SE is not the best for you! Take the traditional Chinese protection charm for this year: the Monkey. You can order the Monkey charm through my website shopping or simply write an email and I will send it to you (only 12 $ including shipment). Please note that the Chinese year begins only on 4 or 5 of February. Who is born thus in January, must take the year before (e.g. if I am born on 1.1.2002, then my year animal will be the Snake according to 2001, not the Horse, which starts in February 2002 only.) If you are not sure, you may ask me anytime. It will be a very positive and successful year. 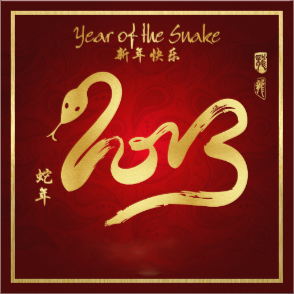 The Chinese enhance the positive energies of the Snake by adding a Snake statue to the South-east part of the house, the direction of the Snake. Of course this is not allowed for the ones born in the years of Snake, Pig and Tiger!!! In the shopping area of my website you can find all the Chinese accessories I mentioned here (and much more) to best prices. I wish you all a very happy and successful year with energetic and peaceful energies, health, love and success in all! If you are not sure anymore about your directions at home, feel free to ask me anytime. It’s important to put the corrections in the right place.